Sean Porter is the Co-Founder, CTO, and author of Sensu, an open source infrastructure and application monitoring solution. Sensu’s customers include Netflix, Uber, General Electric, and the Associated Press. 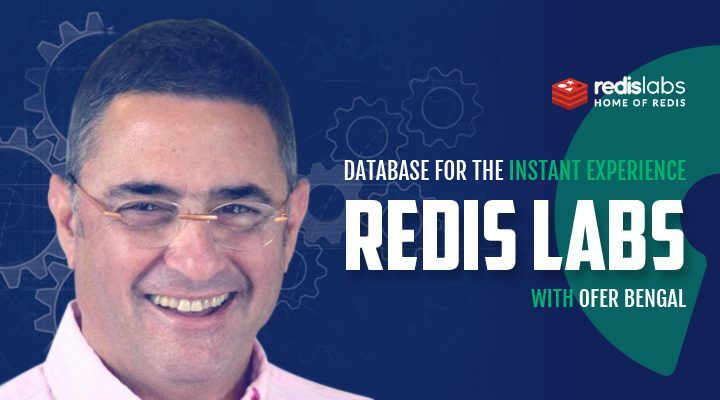 In this episode, Sean discusses the challenges of managing two distributions of the Sensu code, and their journey to raising Series A funding. Michael Schwartz: Welcome to episode 12 of Open Source Underdogs, the podcast where we monitor the business world for new and exciting open source business models. 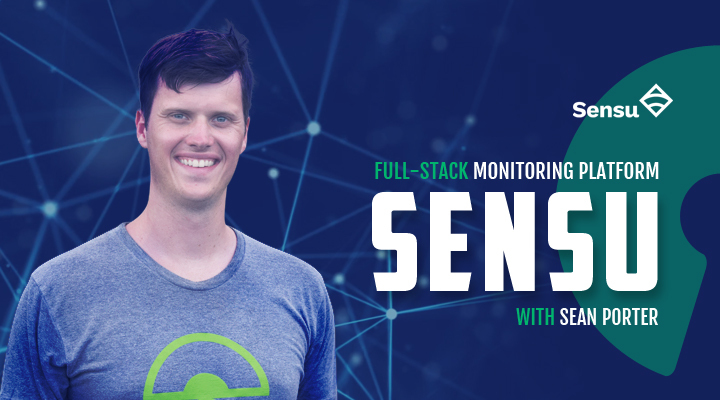 Sean Porter is the creator of Sensu, and is a Co-Founder and CTO of Sensu Inc.
Sensu is an open source monitoring solution that watches your organization servers, services, and applications. It has a huge community of contributors, it’s used by thousands of companies. Sean, thank you so much for joining us today. Sean Porter: Thank you for having me. Michael Schwartz: Tell us about yourself – how did you arrive at Sensu? Sean Porter:My background, my education is in Information Systems Technology, I started my career actually working in an IT shop for insurance business. And from there, I just kind of got a feel for open source technologies, and eventually found myself at a local Vancouver, Canada startup running perfume.com and cricket.com. I actually migrated their services on to AWS, back in 2008, and that gave me my first taste of good medicine. From there, I kind of started to dabble in my own businesses, I was really focused around services and open source software, and system administration. And then, eventually, I went through the cycle of joining a company, another startup, getting some more experience, then going to try my own thing, doing consultancy. Eventually, I arrived at a company called Sonian, back in, like, 2010-2011. That was at Boston. They are eDiscovery email archiving business, and they were running on multiple clouds at the time. My team of, I think at the time, we’ve had a few thousands of EC2 instances and IBM SmartCloud VMs, and a whole mess of things. We are managing that, and we’re fighting a lot of fires and are monitoring, and our signaling systems were just having too many problems in this newfound world, with a femoral infrastructure, and things of that sort. We kind of looked on the landscape of how can we prove our monitoring, how can we improve our telemetry collection, so that we can cut down on this noise, and get a little bit more sleep, and get back to improving how we deliver software. And there really wasn’t much out there at the time that solved for our problems, so really my friend, Justin Kolberg and I, we worked on an idea that I had on the weekend. We really just threw together a very simple piece of software that would run service checks and collect metrics. We used a pub/sub model, similar to some of the applications that we had at Sonian, and we deployed successfully onto this public cloud. We just kind of modeled it after that software, and then we tested it out, and lo and behold, it actually worked quite well. The signal-to-noise ratio improves, and management at Sonian gave me two months of company time to further work on this tool, and really AB tested it against our existing technology stack. It just really stuck and picked up some steam, and then got them to “let me slap the MIT license on it”, and give it a name, and that’s the origin story of Sensu, the open source monitoring tool. Michael Schwartz: Is Sonian still using it today? Sean Porter: It is, yeah. Sonian, think it was two years ago, around that time, got acquired by Barracuda. And it was funny, because Barracuda was also a user of Sensu, so it just like added to the amount of Sensu used there, so yeah, absolutely, they are still users today. Michael Schwartz: That’s sort of related to my next question, which is, what types of customers are using Sensu? I saw it’s thousands of companies, but do you categorize or segment the types of customers at all? Sean Porter: Well, I mean, the way that we look at our customer base kind of falls into two funnels or two buckets. On our website, we have the ability to come in, you can get information on the documentation on the open source product, and you can use Sensu Core. Most of majority people come in that way. Some from the get-go will see that we have an enterprise version, and they’ll see that there’s a few features that differentiate it from the open source version. They’ll self-select, self-service themselves there, so they’ll put in their credit card details, they’ll get credentials for the enterprise version, they will download it and use it. Then, there’s the other side, which is more traditional, enterprise sales cycle, those businesses, larger corporations that will take at least 90 days before they’ll make purchasing, or even just an open source adoption path. So, those ones, they typically fall into that other category, which requires almost professional services, customer reliability support there, and that’s kind of like whole other segment for us. You see a lot of fintech, a lot of large e-commerce business that falls into that category. Michael Schwartz: What’s the value proposition, especially for Sensu Enterprise versus some of the other solutions out there? Sean Porter: Sensu, as a tool, has always been about flexibility and integrating. 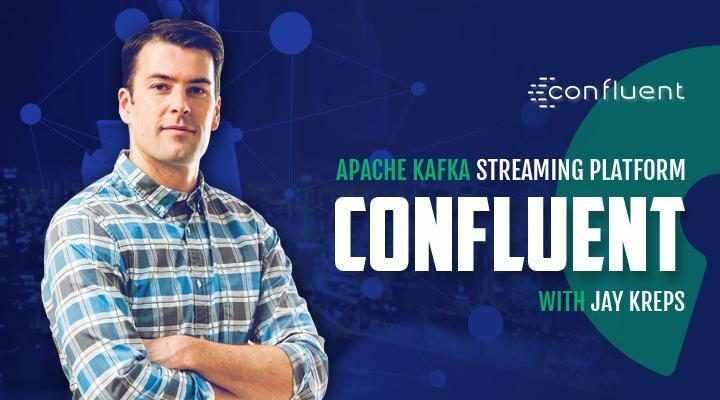 So when you got these larger organizations that are just starting out there, at the beginning of their DevOps transformations, and they’re really looking at changing some of their own processes and changing some of the tool link to support that, they have to make big decisions, but Sensu was always about integrating with all those other tools, creating a full ecosystem. I think that’s always been one of the Sensu’s competitive advantages in that. You can choose your own time-series database to store your data, and Sensu really doesn’t care about that. You can choose your different mechanisms for notifications and alerting. Sensu doesn’t really care about that. I think that is very attractive for a lot of organizations. And then enterprise just builds more on top of that, by giving more of a batteries included experience. We kind of differentiate there on the integration side, it gives you more packaged there, and they’re fully supported, so I can just drop Sensu in. And then, I can effectively turn on the integrations for the other technologies I use in my organization. Michael Schwartz: Is it fair to say that Sensu is pursuing an open core business model? Sean Porter: Yeah. That is our business model. Michael Schwartz: And how do you decide what features go into core versus what goes into enterprise? How do you prioritize? 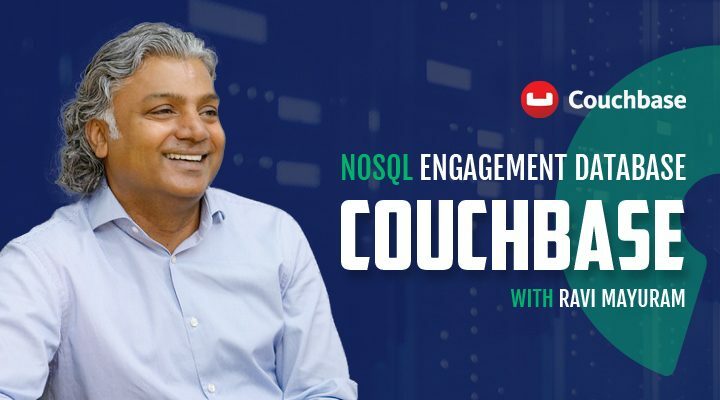 Sean Porter: Up to this point, a lot of that has been on the integration side, so integrations that are from our enterprising technologies, a good example of that is just, ServiceNow. We have Enterprise Integration for ServiceNow. There isn’t a community version or variance of that integration, the community just hasn’t had a need for it, so they haven’t created it themselves. I think that is one example of integration, and then, on the other side, which I think is more important is around the mission model, wiring up, like the Role-Based Access Control model, with your existing directory services. So, organizations of certain size, they need to have a directory service for authentication and authorization, just for the number of people that work at the organization, and as well as just like features around collaboration and workflow, providing value in that certain form. Michael Schwartz: How do you accomplish the two distributions – are there different bits or different packages for the Enterprise? And do you do license enforcement? How do you sort of manage having two different distributions? Sean Porter: It’s what we do today, and what we’re planning to do. And I’ll talk about both, because I think it is interesting. Up to this point, we’ve had separate packages for the open core backend and the Enterprise backend. And really, they’re interchangeable. You can shut down the open core services and uninstall these packages, and then you can install Enterprise, and stand it up, and it’ll simply just run the same configuration. So, it makes it easy for users to try the Enterprise version, and then if they choose that, it doesn’t bring the value they need, they can go back to the open core. Really, the licensing enforcement around that is the honor system. People, they come in, they sign up, and then they get a license that gives them the ability to monitor so many devices. And then, it’s up to them to really just be good citizens. So, that’s kind of what we do today, I mean, it’s worked well enough. I think it was a small business that was growing rapidly. I think it was the right solution for us at the time, but now, we’ve gone through the work over the last 18 months, 19 months of creating the next generation of the Sensu software. And we’ve rethought how we want to do the open core model, and how we want to package it, and how we want to license it. We are actually releasing the general availability release at the end of this month for the new version Sensu Go. It’s a single binary that we provide in our upstream packages, and that binary includes the Enterprise features that are feature flags, and require a license file to unlock. So, when even open source users are consuming the software from are repositories, they are getting the Enterprise version, at least that code is there, it’s simply not unlocked. If they use it, they’re using the open core feature set. If they choose not to go that path, and not to use our official packages and not to use official binaries, the tooling is out there for them to build the fully 100% open core period of that. So, this is something completely new for us, and quite honestly, it is an experiment. Maybe we can record another episode a year from now to see how it all worked out – that’s kind of the plan right now, and we’re going to really see how that works over the coming months. Michael Schwartz: Can you talk about the range of how you work with customers? Do customers really ask you a lot of questions, or what do the customer relationships look like? Or the range of customer relationships you see? Sean Porter: Yeah, it’s interesting that you mentioned range because I think it’s quite a large, wide spectrum. I mean, one, you have people that download the open core, they use it, they upgrade self-service to Enterprise, and we never hear a thing from them. They just use the software successfully. And then there’s one step further, which is, they might just have a very specific question like, “Hey, I’m monitoring over 10,000 servers – how should I be configuring this feature, or this particular parameter of my installation. Here is this effectively a statement of work, let’s go through this and deliver all of these things for you. And then, on an ongoing basis, whenever they run into a problem, they come to us first. I think in terms of having a successful business, doing good customer success is like critical to Sensu’s business, in terms of generating revenue. Because when you look at our customer list, majority of our revenues comes from that latter category, that end of the spectrum that requires higher touch. Michael Schwartz: How’s it been getting renewals? I guess your license should drive the renewals automatically, but have you had any challenges around getting customers to renew? Sean Porter: Oddly enough, no. Our churn rate is near 0%, which proves that Sensu is extremely sticky. I think because Sensu is all about integrating with everything, and it kind of becomes as a backbone of your monitoring and telemetry solution, that, once they adopt it and put it into place, there are fewer or no things that could possibly replace it. And because of that, once they are paying customers, when the time comes to renew, they simply renew, or they realize that their license isn’t good enough for the number of devices, and they up it. That’s something that I’m happy to be surprised by. Michael Schwartz: One of the questions I’m always curious about is, how hard was it to figure out the right way to price the platform? And did you have to pivot at all on pricing, or were their challenges in figuring it out? Sean Porter: First, I’ll say, we’re still figuring it out. And I think we’ll always be figuring it out. As the feature set kind of evolved and grew, we had more options in terms of how we’re going to price it. If majority of the day you have a thousand machines, get a license for a thousand machines. But as the product has evolved, and the feature-set evolves, we’re now given more options in terms of how we can price. We can price around buckets of features. You know, ones that might only make sense for organizations of certain size, obviously, we can then charge more for that package, and we’re continuing to evolve on this. But then the reality set in that now we just sold our perpetual license, now we have to focus around support around that particular customer, in terms of generating for the revenue. I think that’s just kind of one of the learning steps that you go through as a small business, building around the open core model, and then, coming to the realization that you will always be changing your pricing model, you’ll always be changing your feature set. Michael Schwartz: Yeah, at Gluu, every time we thought we had it figured out, it’d be like another couple of months, and we’d tweak it a little bit. I think we are still tweaking it actually. Michael Schwartz: Yeah, I agree. Question about channels, you’re still relatively new company, and channels take a long time to develop, but how has your experience been with developing channel partners, and where do you see that going in the future? Sean Porter: I mean, in terms of partnerships in general, from the get go, we focused on very loose partner relationships, to try to drive sales that way. Since it was designed to work in an environment with configuration management, so having good relationships with companies like Chef, and Puppet, and Ansible, more like technology partnerships that just kind of made sense from like a Tool Ecosystem point of view. work as fast as their automation tooling could. So, that was part of like initial BuzzDev and partnership efforts to align with that. And then, as time progressed, we came more global in terms of our user base and our customer base, so we needed more outreach overseas, so we have some partnerships with companies, like, one is called Amazic, and the other one is called Becon. They are both in Germany and UK. Just to give us boots-on-the-ground overseas as well as just another form of, like, a sales funnel through these partnerships. And then, of course, we’re still trying to figure out what does a reseller look like, what do OEMs look like for Sensu. I think we have a lot of work to do in that regard, but, overall, like partnerships with other companies have been a good source of generating customers. Michael Schwartz: Where is Sensu with regard to sales and marketing? Sean Porter: Majority of our sales are in-bound, a lot of people just landing on the website, or you know, seeing some of our talks at events kind of thing, and seeing Sensu in action, or word of mouth, and then they’re coming in and starting conversations with us. but we are trying to evolve and create the marketing and sales machinery, to be able to generate more leads, and to start to be able to do more outreach, more outbound sales, but all that still in flight and constantly changing. The most challenging problem to solve right now is messaging Sensu, getting Sensu in front of more eyes, and then working on converting those very raw leads into proper sales leads. Michael Schwartz: Can you describe the process for raising your series A? Sean Porter: I think for to make Sensu all started, at the very beginning, we were a company called Heavy Water Operations, we were a DevOps consultancy, a small team, and then we made the choice to kind of pivot to Sensu, but before doing that, we actually tried to create another product, but we really couldn’t get enough traction there. It was around software delivery pipelines, like CICD stuff, and it really wasn’t working for us. But on the side, we always had a lot of business around Sensu. And my partner, Caleb and I, we had the idea to just package it up, and then create an Enterprise version. We were actually able to sell it, and we actually got that large perpetual license and a bunch of other good sales close on that. We were basically able to validate the fit, and the fact that organizations were hungry for a paid version of Sensu, so we knew we had something, and that’s when we pivoted to Sensu full-time. We were showing all the right signals as we were growing at a good pace. The one thing we didn’t have a problem with was hiring talents, our team grew quite quickly, and it was time to raise our series A. We gave ourselves three months. My partner Caleb and I, we did a typical road show, we traveled around, just getting some face time with a few VCs. I think a month later, only four to five weeks later, it was time to take a deal. We raised a series A with Battery Ventures and Foundry re-upped again, as well as our Angel Investors. I think we probably waited too long to start that process, really we should have started to work to raise our Series A sooner, but in the end, we ended up with a very favorable round for the company. I think giving ourselves more time so that you don’t have the pressures of running out of money is always a good idea. I think, in hindsight, yes, we would have started to raise Series A.
Michael Schwartz: Do you think you could have bootstrapped it? Sean Porter: I think so. I think we could have bootstrapped it. Everything’s always easier looking back. If I could go back in time and do things differently, I would go back to probably 2012. I would just do Sensu full-time then, and really focus on just bootstrapping it, just staying super lean, and I think it would have been fine. Michael Schwartz: Was the team mostly people who were local, or were they people who were active in the community, like, where do you actually find the team? Sean Porter: It was a complete mix. People who I’d worked with previously, or we had known in the community, and then there was a good number of people who haven’t even used Sensu before, which I thought was really interesting. When time came to choose and grow our initial team, it was like, “Okay, who do we know in the Sensu community that has contributed, that knows about Sensu, the value that it brings?” We immediately went out and connected with those people. As expected, it didn’t take much to get them to join and come on board which is really cool. As a completely 100% remote company, we do have an office or studio in Portland, but no one works there, all forty of us are all over North America. It really made it easy to find engineers and sales folks all over the place that just really believed in the product and understood the value that it brought. Michael Schwartz: All in the US – anybody overseas? Sean Porter: Majority of our engineering team is actually in Canada. What’s interesting, when you’re fully remote company, and then I’m actually Canadian, I’m up in the city called Kamloops BC Canada, we are fully remote, and we have a Canadian subsidiary, but when you offer competitive salaries that are also well above usual Canadian market norms, you attract very talented engineers in Canada. I think because of that, we ended up with a number of Canadians on our engineering team. Michael Schwartz: What do you think are the biggest challenges facing the founders of new open source startups? Sean Porter: I think the biggest challenge is your market, your market segment is crowded, how do you differentiate yourself from everyone else in that space. And then, how do you package a version of your software that you can generate revenue for, or how do you become a software as a service provider that can get amazoned out. I think those are the biggest challenges. How do you provide value on top of the open core, where people are going to pay money for? Or, how are you going to do something so unique, from a software service point of view, that somebody else, larger than you, can just zap you out of existence, by running your own software more effectively than you? I think those are the biggest challenges, and I think those ones are kind of the obvious one. Michael Schwartz: Are you worried about that for Sensu? Sean Porter: The only case where it could affect us is if we chose to run a SaaS version of Sensu. think then we would be at risk of losing part of our business, or at least a revenue stream. Michael Schwartz: How often in the last 4 years or so, have you considered launching a SaaS Sensu? Sean Porter: I think constantly. My background is in operations, and I understand what it takes to operate a hosted service and the cost associated with it. Every time I’m, “Uh, we should totally do a Sensu SaaS!” That would be really wicked, it would help people adopt Sensu, people start using it, lowers the barrier to entry considerably, but then the cost associated with operating that, the margin for generating revenue around that. I feel like it’s a whole other separate business than what we’re focused on right now, which is how do we make Sensu easier to use so that it can be deployed on prem without problem. I think if we were to do the SaaS thing, or at least, build the company around it, we would have raised specifically to tackle that. We would build a different team, a different company in order to do that over the last two years. One thing I would like to point out is that we have gone on 1.x on Sensu for a number of years now. Sensu Go is the next gen one, so if we did build SaaS, it would be around our new technology. If we were to do a SaaS, we’d start after that goes fully GA, which is at the end of this month. Michael Schwartz: What does a long-term look like for Sensu? Sean Porter: In terms of the technology that we are looking, 5-10 years ahead, just trying to say, “Okay, what are the general trends for the early adopters now?” Because that’s going to signal where the big ships are eventually going to turn to. So, just making sure that Sensu, from a technology perspective, is aligned with that future. I think we’re thinking more ahead in terms of the business and the products, it’s much more short-term, seeing what works and what doesn’t, and then making those changes as quickly as we can, experimenting – in that term, we are just talking like a few years. I just want to see company to continue on the growth rate bet. It has been experiencing adoption rate. If we stick to that, I think Sensu has a very bright future, and I see Sensu running on technology infrastructure and applications a decade from now. Michael Schwartz: Do you have any advice for the entrepreneurs who are thinking about developing a business around the open source product? Sean Porter: I think the most important thing is to first test, in terms of building your career or a company around open source is to see what sort of people gravitate to the thing that you’ve created or the idea that you have, and to see what those people can do with it. I think it’s an early indication of when you’ve hit on something that brings value to people’s lives. If other people, strangers, are willing to download your project and run it on infrastructure that runs a company that pays the most salary, I think there’s nothing better than that. It’s pretty awesome. And to see if they start to kind of coalesce into community. I think if you got the community around your project, it’s time for you to pour more of your heart and soul into that thing. If you’re not seeing that happen, maybe it doesn’t make sense to focus all of your energies on that, and try something else. I would say, don’t rush to raise venture capital around your open source project. See if you can bootstrap, see if you can get more traction without it, see if you can do it when you’re a little bit more scrappy, when you can just focus on the technology, on the open source product, and less so on building a company and organization around it. I think you will be better off for doing it. Michael Schwartz: Sean, thank you so much for joining us today. Sean Porter: Thank you for having me. I hope that your listeners on this episode have used to it. Special thanks to the Sensu team for arranging the interview. Music from Broke For Free Chris Zabriskie and Lee Rosevere. Production assistance and transcription by Natalie Lowe. Operational support from William Lowe. If you enjoyed this podcast, you can say thanks by tweeting it out. Our podcast Twitter handle is @fosspodcast. You can find out more about Sensu at Sensu.io.